Victoria has become the first state in the country to legalise assisted dying for the terminally ill, with MPs voting to give patients the right to request a lethal drug to end their lives from mid-2019. After more than 100 hours of debate across both houses of Parliament and two demanding all-night sittings, Lower House MPs ratified the Andrews Government's amended bill.The bill will now go to the Governor for royal assent. 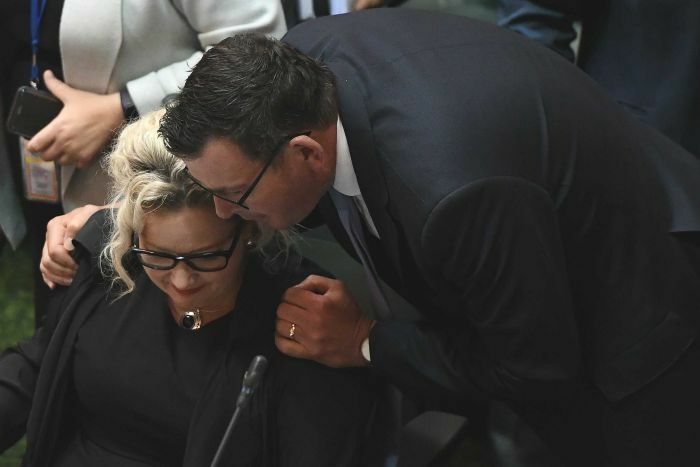 Premier Daniel Andrews, who came to support euthanasia after the death of his father last year, said it was an historic day. "This is a day of reform, a day of compassion, a day of giving control to those who are terminally ill," he said. "I'm proud today that we have put compassion right at the centre of our parliamentary and our political process." The landmark legislation passed the Upper House 22 votes to 18 last week, but the changes had to be approved by the Lower House for voluntary euthanasia to be enshrined in law. Lower House MPs voted 47 to 37 in favour of the original bill last month. 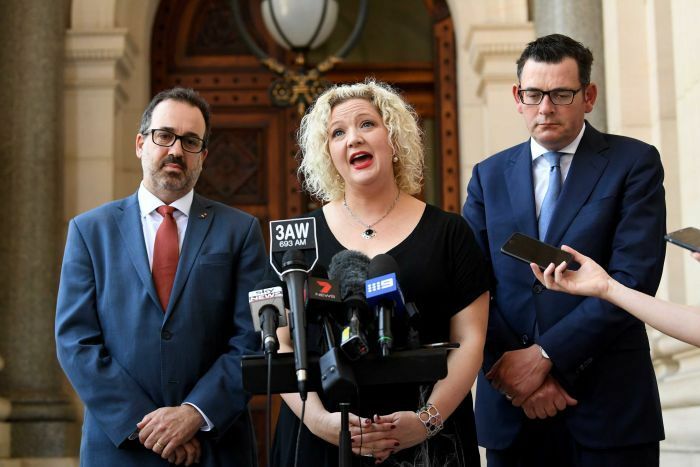 Victorian Health Minister Jill Hennessy said the lengthy debate had given the Parliament the opportunity consider what constitutes a "good death". "It's one of those things in life — we talk a lot about the start in life, but we don't talk a lot about the end of life," she said. "We've had some frustrating moments, but ultimately we have landed in a place where Victorians who are confronted terminal illnesses, that are enduring unbearable pains, will have a safe and compassionate option around assisted dying." Ms Hennessy said experts would immediately start work finalising the scheme, including the type of lethal drug to be prescribed to patients. "I know this is a disappointment to some people who have terminal illnesses, but the bill does require an 18-month implementation period," she said. "We have been very dedicated to the task of developing this bill and we're going to be as equally dedicated to the task of getting a safe, sensible and robust system in place." The changes needed to pass the bill included halving the timeframe for eligible patients to access the scheme from 12 months to six months to live. There will be exemptions for sufferers of conditions such as motor neurone disease and multiple sclerosis who have a life expectancy of 12 months. The Andrews Government also pledged to spend $62 million over five years on end of life and palliative care. Opponents of the legislation made a last-minute bid to block the legislation by proposing to defer debate indefinitely on Tuesday, but the motion was lost 46 votes to 37. Government minister Natalie Hutchins missed the vote because she was attending her husband's funeral in New South Wales and was not granted a pair. Under the legislation, Victorians with a terminal illness will be able to obtain a lethal drug within 10 days of asking to die, after completing a three-step process involving two independent medical assessments. They must be over the age of 18, of sound mind, have lived in Victoria for at least 12 months and be suffering in a way that "cannot be relieved in a manner the person deems tolerable". The patient must administer the drug themselves, but a doctor can deliver the lethal dose in rare cases where someone was physically unable to end their own life. The legislation includes 68 safeguards, including new criminal offences to protect vulnerable people from abuse and coercion, and a special board to review all cases.